This hotel offers attentive- friendly service and 95 beautifully appointed suites and guestrooms that offer total comfort and deluxe facilities. 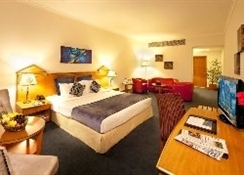 Fully air-conditioned- the hotel also features a lobby with currency exchange facilities and a hairdressing salon. There is a restaurant and café on site- and conference facilities are available for the business guest. Laundry services are offered and guests arriving by car may take advantage of the hotel car park.The en suite rooms come equipped with a hairdryer- direct dial telephone- cable/satellite TV- Internet access- minibar- tea and coffee-making facilities and an in-room safe for guests to store their valuables in. The hotel provides excellent facilities for a comfortable stay. It features modern amenities that make the guests feel at home. The amenities include gym, pool, baby sitting, coffee-shop, non-smoking rooms, massage services, sauna, jacuzzi and health club. Corporate guests can avail of well-equipped conference rooms, business centre, meeting rooms for hosting business events. Social gatherings can also be arranged as the hotel also provides excellent banqueting facilities. 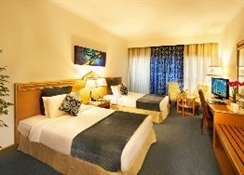 Guests are offered standard deluxe rooms for accommodation. Each of the room is beautifully laid out in contemporary style. The impeccable interiors offer all modern-day comforts including amenities like Colour television, internet access, mini bar and refrigerator. The hotel’s very own multi-cuisine restaurants serves delectable food which can be indulged by the guests during the stay. This bustling 24-hour coffee shop offers a delicious selection of salads, sandwiches, freshly-baked muffins, croissants, signature cakes, cookies, healthy juices, tea and coffee in a relaxed and vibrant atmosphere. Guests can savour a superb selection of authentic Mughlai - North Indian cuisine with a slice of the glorious Mughal history at Rasoi. Al Nafoora serves Mediterranean cuisine to its guests. Offering all-day dining with an extensive array of delectable delights on the buffet selection, it is sure to please any palate. 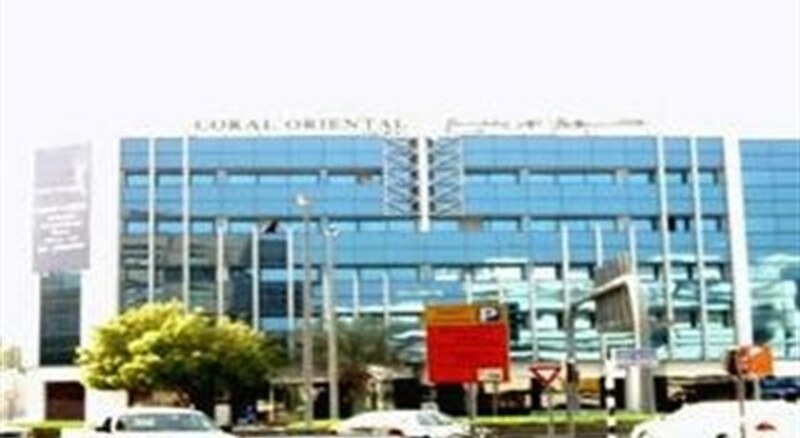 The Coral Oriental Hotel is located in the heart of the busy commercial district of Deira just 10 km drive away from Dubai International Airport and 45 km from the Sharjah International Airport.